PRODUCTOS PILAR dehydrated bovine plasma is manufactured with fresh blood obtained under sanitary conditions from animals selected both before and after slaughter, exclusively in officially controlled plants. The dehydration system used during the process is called spray atomization and involves spraying plasma in countercurrent to a flow of hot dry air, leading to its dehydration. This drying system yields a highly nutritional product since it avoids destroying essential amino acids that are sensitive to heat. Homogeneous powder with a very fine granularity, yellowish-white colour, mild flavour, and neutral smell. PRODUCTOS PILAR dehydrated bovine plasma, obtained and processed under the optimal conditions described, is a nutritional element of real value for hogs. 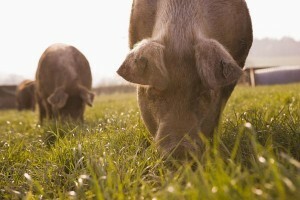 Due to its high inmunoglobulin levels, it is specially recommended for young hogs, particularly before, during and after weaning, since during this period the animal suffers a marked stress and a decrease in its natural defences, which need to be restored. 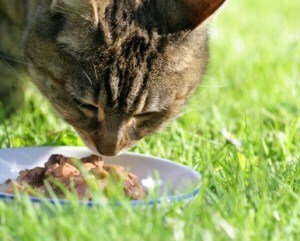 Another major application for plasma is as an additive in the pet food industry. Applying plasma directly to hog feed provides the animals with a considerable nutritional supply including animal proteins and containing a large amount of essential amino acids of optimum digestibility. Its mild, characteristic flavour is extremely pleasant to animals and augments feed tastiness, thus markedly increasing feed intake and consequently weight gain. 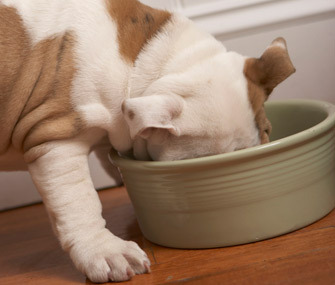 In the pet food industry using plasma as an additive provides an excellent nutritional value with high digestibility. Furthermore, it clearly improves product aspect and preservation while increasing juiciness and appearance. 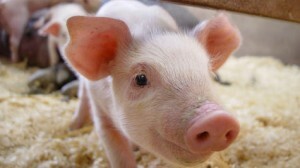 It also raises the profitability of the meat being used significantly decreasing cooking reductions. No change in the components of the formulation is required in order to use plasma as an additive. 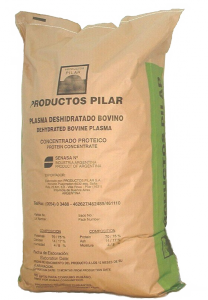 PRODUCTOS PILAR bovine dehydrated plasma is sold in bags with triple outer paper and a polypropylene inner bag containing 25 net kilos. 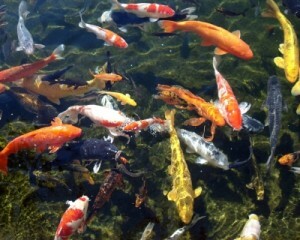 For further information about our products, please feel free to contact us.